Whether or not you celebrate Valentine’s Day, there’s something about February that makes everyone get kind of starry-eyed and mushy. Can you feel the love in the air? We can! That’s why we’re showing off our new romantic custom wine labels for homemade wine. 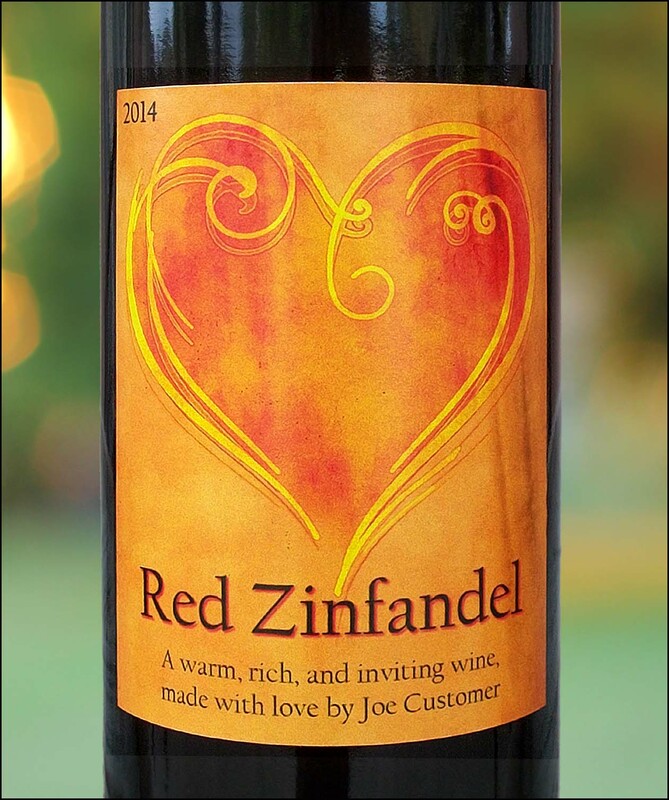 This week, we’re featuring the brand new Golden Heart wine label. The Golden Heart custom label design was inspired by lovers and Valentine’s Day, but it’s perfect for anyone with romance in their heart. Romantic wine bottle labels will suit many different occasions. Personalized wine labels dress up the special wine for your engagement party. Custom wedding wine labels will be a big hit at your reception. Romantic labels make great anniversary party favors, and bottles with personalized labels make stunning table decorations. These romantic custom wine labels for homemade wine are also an impressive way to present your bottles when you’re giving wine as a gift. Give someone special a bottle of your homemade wine with a custom label on it, and they will treasure both the gift, and you. Don’t forget, we offer an even more personal option. You can choose one of our many photo wine labels and use your own image on the label. Or check out the hundreds of options available in our Label Gallery. Make sure you never miss an update or sale, sign up for our emails! 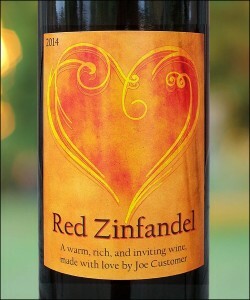 This entry was posted in Custom Labels, Gifts, Homemade Wine and tagged Gifts, Labels, Wedding by Noontime. Bookmark the permalink.